Winston Smith of George Orwell’s novel- 1984 is a most unlikely hero. The phrase Orwellian Nightmare is known to all of us. We all have faced or know someone who has faced security checks at airports where we cannot object. The revelations of Edward Snowden tell of an international surveillance mechanism which reminds us of Big Brother. The Reading group has helped enrich our lives in many ways. This group helped evolve a Reading journal, through which I have kept in touch with friends and family across the world. George Orwell’s 1984 follows the –Enclosed Universe technique in which a degraded reality is presented. There is no way to know whether this is real or not, unless one has some kind of record-a diary, logbook or chronicle. Winston Smith, the protagonist is an unlikely hero, frail and in ill-health. He even gives up his lover-partner to save himself. Over a period of time, he starts to see many discrepancies in the reality presented to him. -They seek to control all forms of thinking, by Thought police in the form of Big Brother. The protagonist asks an old timer whether it is true that around 1915 only rich capitalists could wear a hat and poor people could be thrown out of the streets. The person recalling tells that he was once pushed off from the street,but he could have pushed the person who pushed him. Then, the older man does not remember the exact details. As his inner questioning grows, Winston starts keeping a diary to see what is real and what is distortion. When prices of chocolates are increased there is a celebration for lowering the prices his inner questioning increases. When the party’s predictions of a military campaign are proven wrong, there is erasure of the old speeches from all records of the –Ministry of Truth. The diary becomes a tool in the hand of the unlikely hero Winston Smith who records what is happening, and how words-events are being distorted or presented in a piece meal manner to suit certain interests. Reviewing this work with the perspective of –Management Challenges of 21st century– and keeping a Reading journal, are tools of growth and evolution. Personally- I have found a department diary, log book, register, roster, and minutes of meetings to be essential tools of survival for a manager of departments. Managers have to face the different financial, technical people in many settings and there is a tendency to distort things –more of a power-play rather than truth. In his course on Effective communications- Professor Dalton Kehoe has asked three key questions which determine communications. How am I being treated? Here is a brief account to give you flavor. 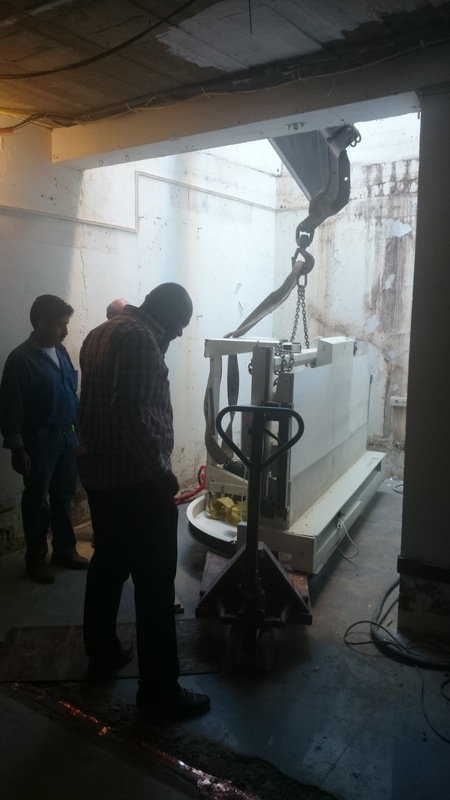 LSMC RADIOLOGY TRIPOLI-LIBYA Management Challenges ..Sifting through the various layers of truth in an Installation. Keeping a diary or log of what is going on, what was agreed upon is an essential management tool. ADMINISTRATOR- When is the equipment being installed? INSTALLING COMPANY- In one week. RADIOLOGIST- Sir, what about the broken parts which you are not mentioning? ENGINEERS-Why did you mention this? We encounter many enclosed universes. The same event or organization can be looked at from different perspectives. All managers face such issues every day. A finance administrator may be bothered only about Profits. If there is no roster, then no one can be blamed for no-show of technical staff as it is impossible to fix who was supposed to be present. Winston Smith is a hero no one wants to be. But if one has to know what happened, how it happened, and later maybe leave records for scholars to understand –Why it happened, one has to keep chronicles and diaries. These are effective tools for day-to-day work lives and also for larger civilization-cultural issues. This entry was posted in life and tagged 500 words a day, Book discussions 2014, Libya, Tripoli Reading Group. Bookmark the permalink.